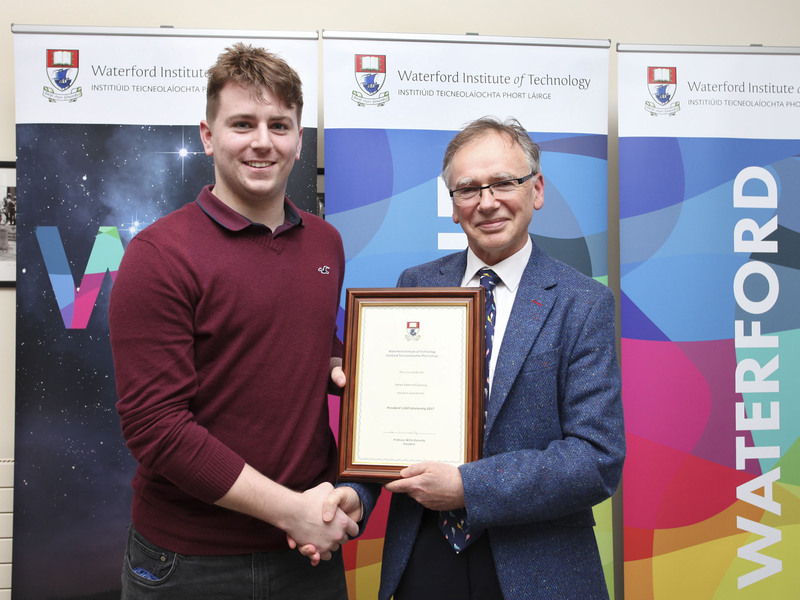 James Conway, a past pupil of CBS Secondary School, Mitchelstown, Co. Cork is one of five first year students at Waterford Institute of Technology (WIT) to be awarded a President’s Scholarship. He is a student on the BSc (Hons) in Agricultural Science. In his scholarship application he outlined how he had the potential to shape future society. “My previous understanding of a ‘scholarship’ was for academic overachievement or paranormal athletic powers but I said I’d give it a go as I was very interested in attending WIT. At broader societal level he has submitted opinion to the Oireachtas Committee White Paper Consultation on issues as he believe it’s important to include your voice. James explains why he applied for the President’s Scholarship: “I read on the WIT website that the Scholarship was a new and Innovative which aimed to support to individuals so allowing them to further their potential. I was already very interested in studying Ag. Science Level 8 in WIT which is a university level Institution in my locality and attaining the scholarship would open interesting doors and offset expenses, so I gave it a good shot”. The first year student is studying Ag. Science (level 8) and his dreams for the future include: travel and its experiences, possibly further post-graduate study and who knows after that.